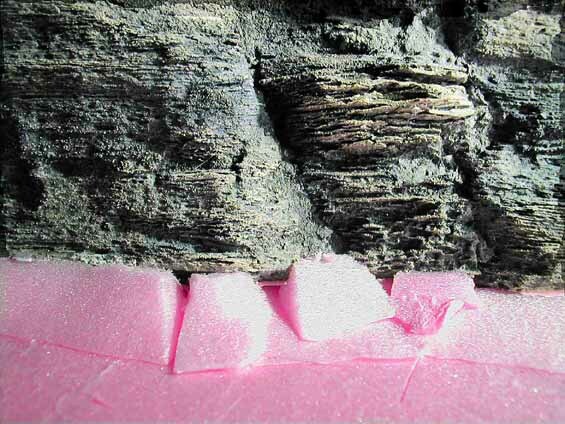 Description: This outcrop will have a thin wedge of talus (rock debris) along the bottom. We could just pile up rocks until we got the right shape, but since we're trying to impress people at trade shows with how lightweight our products are, we've chosen to minimize the amount of real rock we use. So the bulk of the talus slope is actually little wedges of foam insulation with a thin veneer of natural rock chips.